It was 1964 in upstate New York when Danny Coots began playing drums at the tender age of 6 years old. Since then, he has studied with Nick Baffaro, Rich Holly, Alan Koffman and Jim Petercsak in percussion. 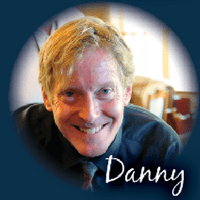 Danny attended The Crane School of Music and St. Lawrence University. He eventually served as adjunct faculty at St. Lawrence University, Clarkson University and Potsdam State University from the 1970s into the 1990s. He continued traveling and performing with David Amram, Ray Shiner, Daniel Pinkham, Herb Ellis, Will Alger, Jack Mayhue, Speigle Wilcox, Mimi Hines, Phil Ford, Bob Darch, Pearl Kaufman and Arthur Duncan. won a Grammy in 2005. Parrott, Bucky Pizzarelli, John Pizzarelli, Yve Evans, Chuck Hedges, Warren Vache and Allen Vache to name a few.